You may have heard or read about Taoist meditation and wonder what distinguishes it from other forms of meditation. Taoist meditation is a practice related to Taoism, a Chinese philosophy, and religion founded on the principles of mindfulness, concentration, visualization and contemplation. There is a strong relationship between Taoism and Buddhism. There are three different varieties of Taoist meditation which include: concentrative, inside and visualization. Within these categories are numerous exercises and methods. Essential practices in Taoist meditation involve sitting in a comfortable position and letting go of one’s thoughts, getting in tune with a sense of oneness and visualization. Those who engage in Taoist meditation strive to enlarge the mind and the same time let go, relax and expand the breath. According to early Taoist writing, these practices can help one guard against temptation, avoid the feeling of fear and be in tune with life without becoming overly sensitive and affected by the unpredictable events of life. Another principle of Taoist meditation involves achieving a sense of emptiness or an inner void. One can create this emptiness through a “fasting of the mind” which focuses on the vital breath. This is done through sitting and forgetting about problems and concerns that may obsess us throughout the day. As one advances in the discipline of focusing on the vital breath, the next step is guided breath which involves letting the breath collect, expand, descend, grow and recede. 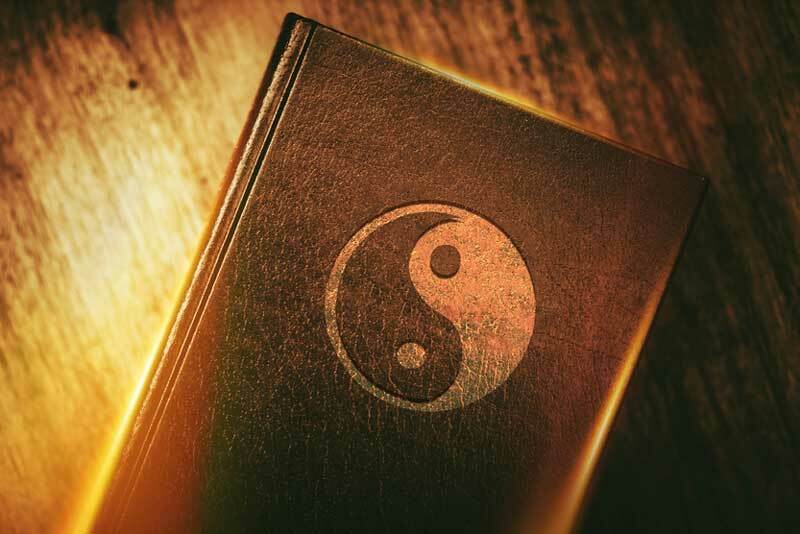 Taoism focuses on simplicity, and ancient texts emphasize the importance of using breath work to exhale complexity and life’s problems and inhaling vital energy. The process is focused on the goal of returning to simplicity and authenticity. One of the earliest types of Taoist meditation is the “Guarding the One” exercise described in Taiping Jing’s “The Scripture of Great Peace.” This meditation involves visualizing cosmic colors in connection to parts of the body. After achieving a state of concentration, one should visualize a light arising and should mentally hold onto it. First one imagines the light is red, then white and green. The meditator then imagines the light completely pervading the body until there is complete illumination within that creates a sense of peace. The focus on light in the above meditation reflects the emphasis of Taoism on circulating energy throughout the body. In Taoist philosophy, this energy is called Qi. Developing and achieving the right balance of energy promotes health and peace of mind. Early Taoists believed in nourishing a spiritual embryo that could lead to immortality, but one doesn’t need to have such ambitious spiritual goals. Simply achieving a sense of oneness and balance can positively impact one’s life. Minutes sitting and forgetting one’s problems and concentrating on breathing may seem simple enough, but it is achieved through continuous effort. 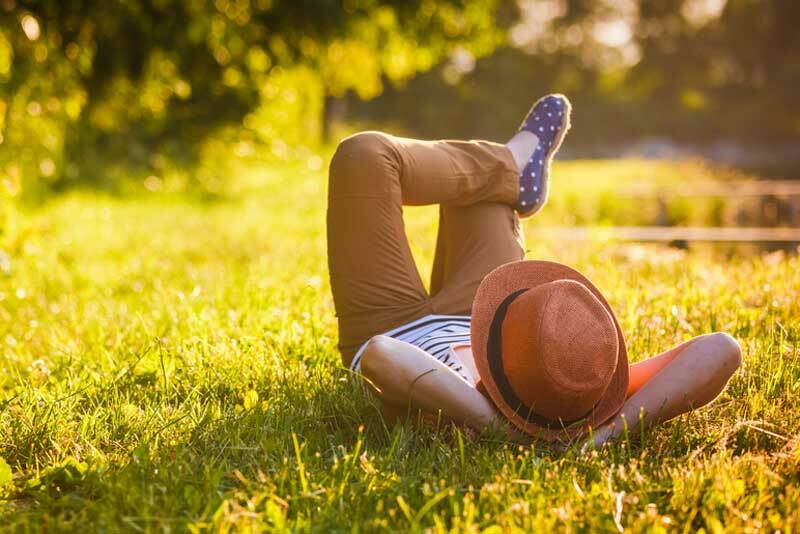 It can be difficult to silence the chattering mind, particularly for people who tend to be active and vulnerable to stress. When people begin meditating for the first time, they may notice how active their minds are and how the mind resists the process of meditation. Taoists explain this as the ego of the conscious mind fighting against losing its power over the consciousness. In fact, Taoists describe the intrusion of the senses on the process of meditation as an attack by the “five thieves.” When this happens, think about how the emotional and cognitive aspects of your being create a drama, but that this drama depletes your energy and can interfere with your feeling of peace. 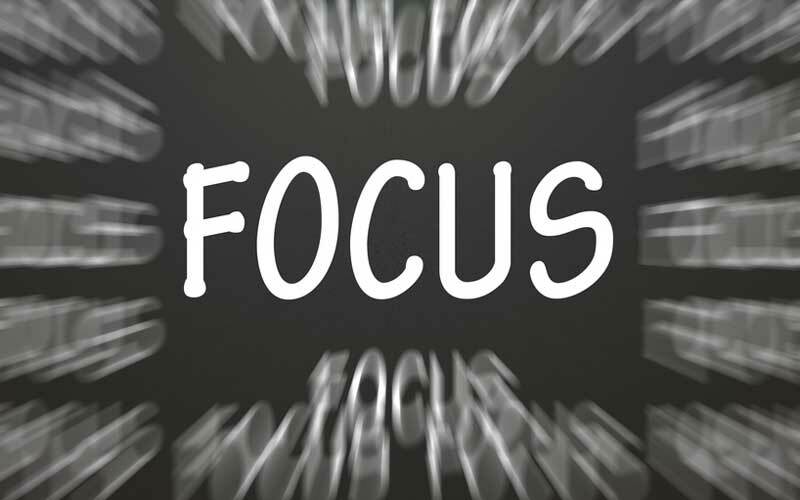 There are a number of Taoist techniques of refocusing the attention and dealing with distractions during meditation. Focus on the flow of air in and out of your nostrils or the flow of energy circulating throughout your body. Narrow your vision with eyes half closed onto a visual aid such as a candle flame. Focus on the center but keep the other parts of the flame in your peripheral vision. This focus on an external object can help you tame stray thoughts and develop the discipline of concentration. Mantras are helpful in focusing the mind on a sound. You may have heard people meditate with the mantra om, but there are others in addition to this one. “Om” is meant to vibrate between the eyebrows and keeps the body focused, “ah” balances the energy and is felt in the throat and “hum” repairs the spirit and its center is in the heart. They are different cosmic colors associated with these mantras; om is white, ah is red and, hum is blue. Use a complete exhalation and say each mantra in the low-pitched tone. In addition to focusing on external objects and pronouncing mantras, visualization can also enhance your meditation and improve your focus. Some people like to visualize a sacred symbol during meditation. You can concentrate on this visualization for a long period of time or use it as a tool to help you refocus before resuming another meditation technique. There are three different levels that Taoist meditation addresses. These include the body or essence, breath or energy, and the mind or spirit. The process begins by making sure you are positioned comfortably and that your weight is balanced and your spine is straight. Begin by being mindful of any sensations you feel physically. Shift awareness from the body to the breath. 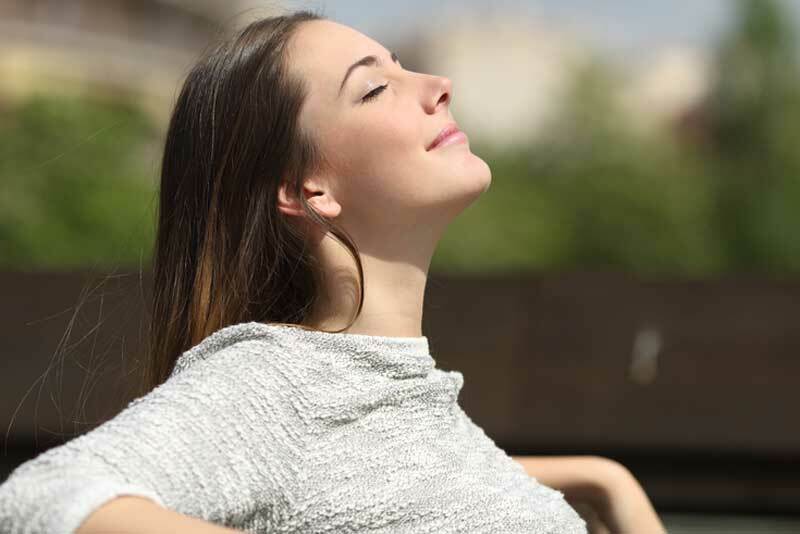 You can choose to focus on the physical act of breathing and the flow of air in and out of your nostrils. You can also visualize the breath as a kind of energy flowing in and out of a particular area of the body along with the breath. The next phase is awareness of thoughts and feelings arising and flowing away. These can be ideas, emotions, and spontaneous images. 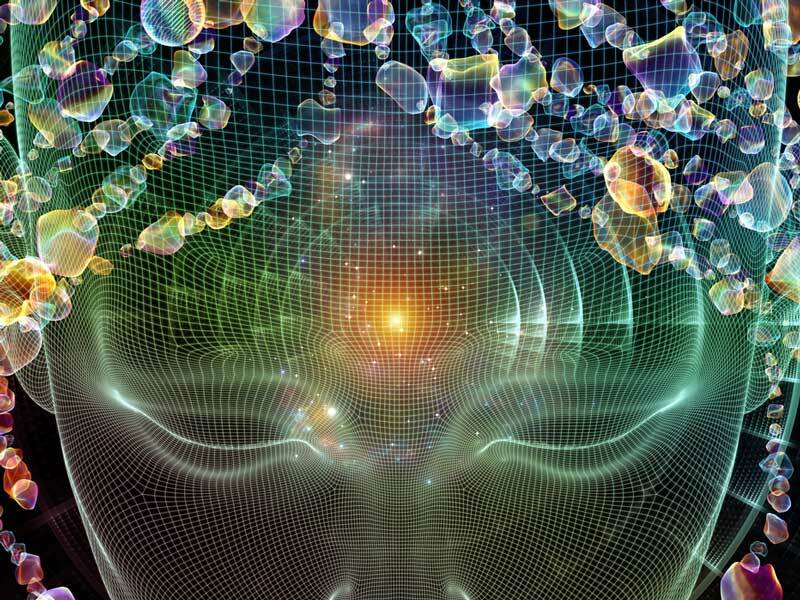 People who practice this meditative technique may experience sudden inspiration and an intuitive understanding of the self and the universe. When many people think of meditation, the first image that comes to mind is someone sitting upright on the floor with legs crossed in the lotus position. This is not the only position one can use for Taoist meditation. 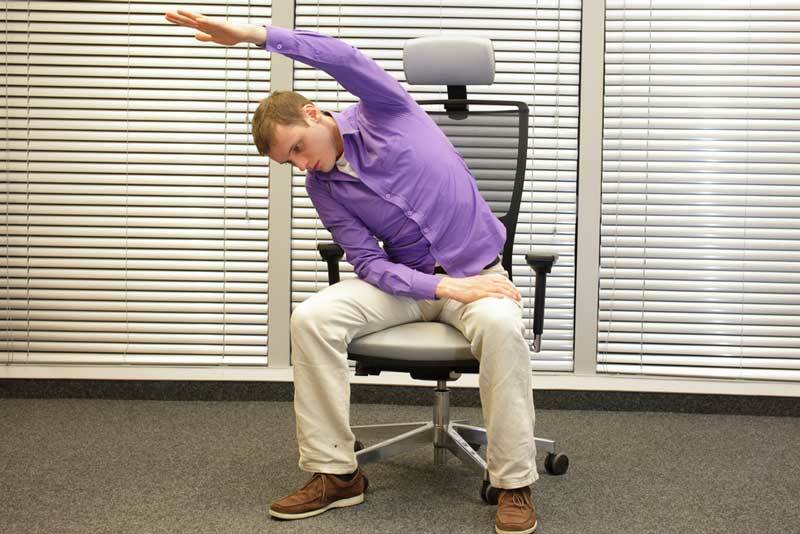 If you prefer, you can also choose to sit upright on a chair with feet parallel and shoulder-width apart. Make sure that the spine is straight and supports your torso. 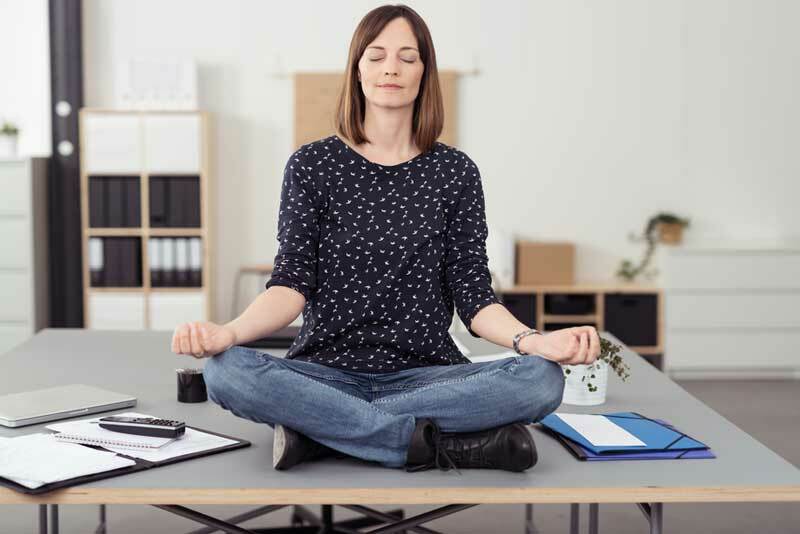 Many people prefer the sitting position because it prevents the legs from cramping, but others prefer the lotus position because it makes the energy flow upward. People whose legs are vulnerable to cramping should consider sitting down on cushions. You can even take a thick telephone book and put it underneath the cushion to raise your pelvis while taking the pressure off your knees and your lower back. In Taoist meditation, there is also an emphasis on hand gestures and positions, but to start out with, many people just rest their palms on the top of the thighs. One way to start Taoist meditation is to sit in a comfortable position and observing how thoughts are formed in the mind and how they pass away. Observing thoughts can help one achieve objectivity and detachment from the things that you are thinking and feeling. This type of meditation can help you disconnect from worries and stressful thoughts and troubling emotions. Once you get used to simply observing your thoughts without judgment or becoming attached to them, you can learn to deal with emotions outside of the context of meditation. In addition, the less emotional energy you give to your thoughts, the less they will distract you in the process of meditation. Another technique to try is called one-pointed awareness. 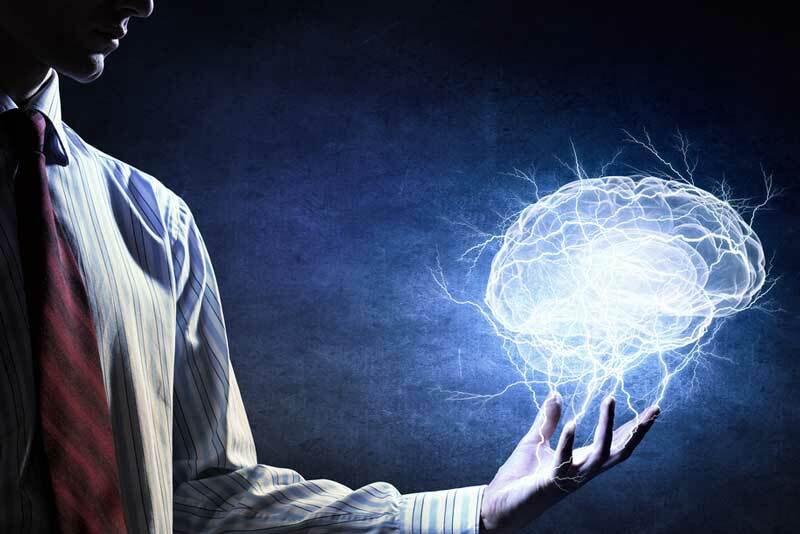 It can be used to help rid the mind of distracting thoughts prior to another type of meditation or it can be used as a meditation for its own sake. Many people visualize an image of something that is meaningful to them. Others prefer to focus on sound such as ringing a bell. Once inner tranquility is been achieved, the meditator can guide energy through the powers of the mind. Visualize the energy and focus on guiding it throughout different parts of the body. You can begin by paying attention to the area below the abdomen. Bring the energy lower and then up the spine to the head. Focus the energy between the brows. The visualization and the guiding of energy are something that can be achieved after a period of practicing Taoist meditation and becoming aware of the energy flows within the body. Finding your center and a sense of stillness is not only important for developing your meditation practice but can help you achieve success in your relationships. If you feel like your emotional life is pulling you this way and that and the turbulence is causing problems with your life, Taoist meditation can help you find your center. Retreating to your center is like finding an eye in the storm or an oasis where you can feel safe within yourself no matter what the circumstances. The following meditation technique can help you find your center and develop the habit of locating it when you need to. Sit on a chair with a cushion that can support your lower back. Plant your feet firmly on the floor and keep your spine straight without tension. 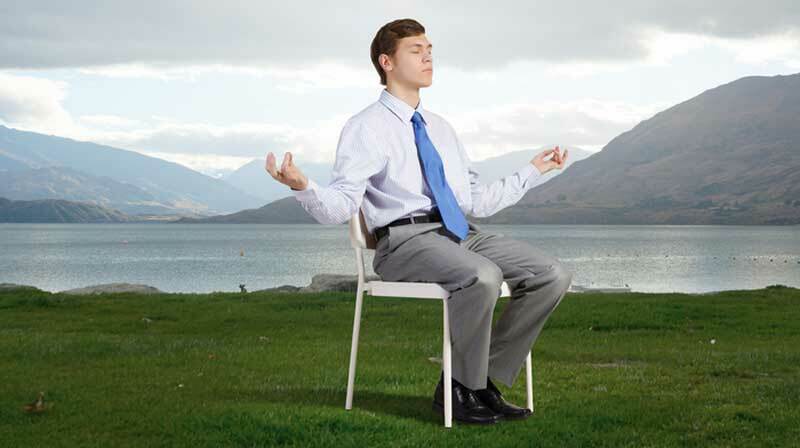 Bounce up and down the chair and focus on letting unresolved energy out into your body. Exhale and empty your lungs. Take three deep breaths and sit with your eyes closed or somewhat open but not focused on anything. Put your tongue the tip of your palate and breathe slowly from the diaphragm. Focus on your lower abdomen and breathe in while you focus on Qi blowing into that area and back again. Exhale the negative energy and focus on breathing in new energy. When you’re finished, bring your palms together and rub them 36 times. Put your palms over your eyes and let the warmth penetrate into your eyes and in your brain. Repeat this process with the hands three times. Many people decide to take up Taoist meditation because they believe that their vital energy is blocked and they want to clear up these blockages. Others are simply curious, have heard about the benefits of Taoist meditation and want to give it a try. People may feel stressed, overburdened and feel as if something is creating an obstacle to their happiness. Taoism teaches that obstacles are in the mind but not in the sense that they are imaginary. 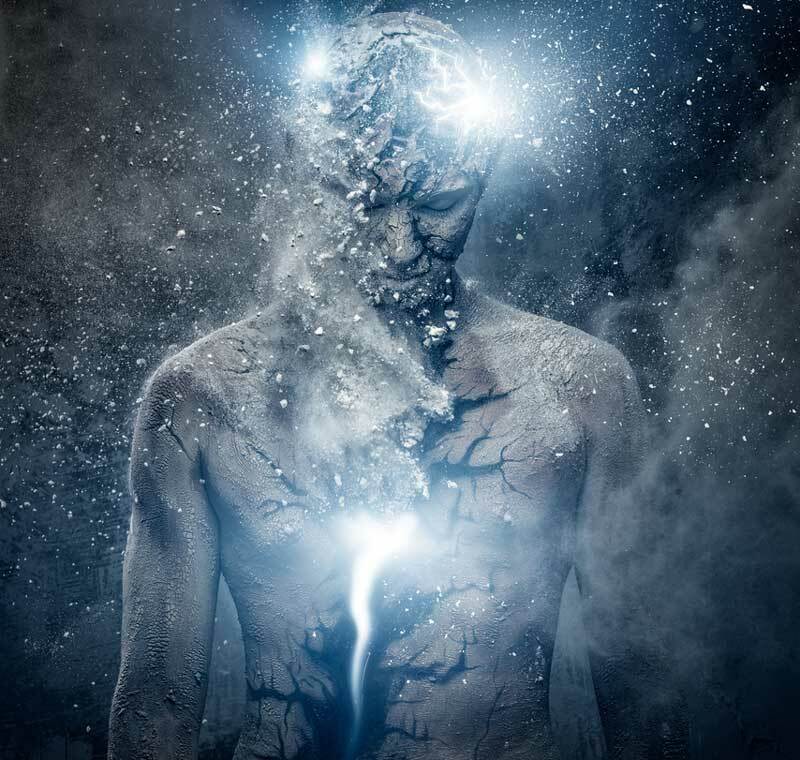 Perceptions of difficulties can lead to imbalanced thoughts that can throw off the body’s vital energy, create spiritual blockages and ultimately can lead to physical illness or emotional disturbance. Taoist meditation is a way of clearing up these blockages and leaving the path clear for the channeling of vital energy throughout the body and the brain. 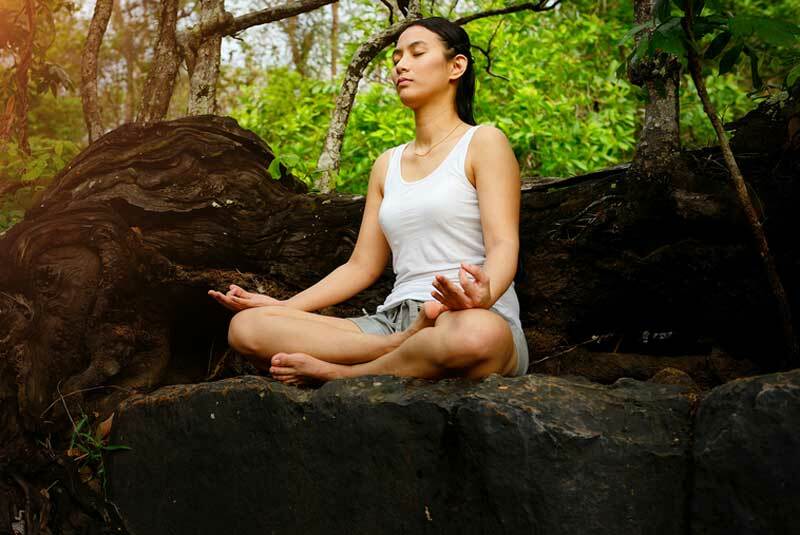 Meditation is often recommended as a way of improving mental and physical health. That is consistent with the Taoist philosophy of meditation which starts with the body while focusing on the spirit and the circulation of energy. The Water Method as outlined 2,500 years ago by Lao Tse begins with focusing on the health of the physical body. The Water Method of Taoist meditation involves scanning the body to identify blockages. Start with the top of your head and scan the body to note any blockages. These blockages can be identified by a kind of tension, a feeling that something isn’t quite right or contractions. 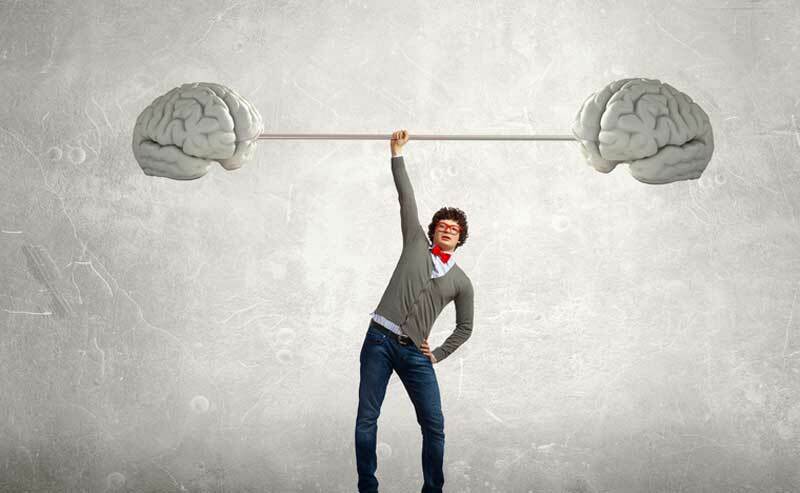 While strength is something that is considered positive outside of the context of Taoist meditation, a feeling of strength might actually indicate weakness. If someone is aware of feelings strength within the body or the mind, it might be an indication of pushing or straining which can be the result of an imbalance. This feeling of strength can make you feel good and invincible, but it can be like an adrenaline rush that eventually leads to a crash. The strong feeling is not sustainable, and in Taoist thinking, it is more important to be comfortable and natural than to feel strong. Through Taoist meditation, you can develop a sense of when this feeling of strength is an indication that you are pushing too hard or one is a genuine feeling of stability and comfort. 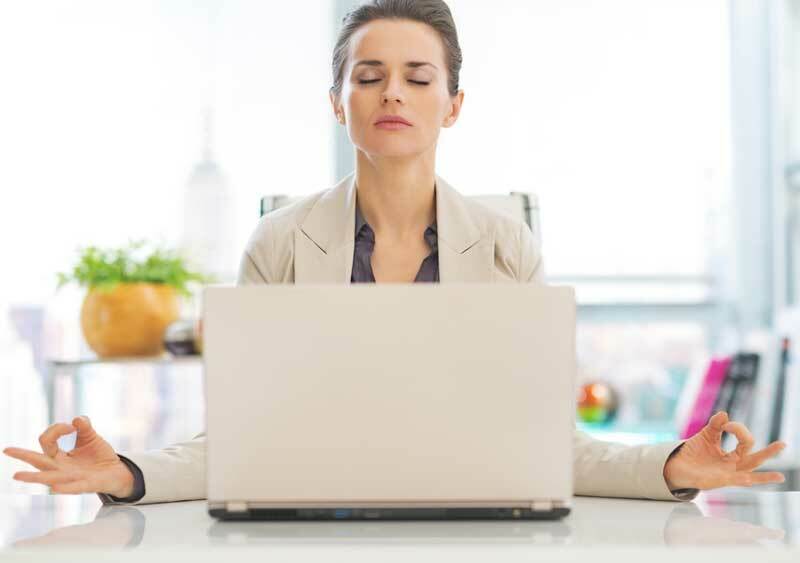 Some people report that through these methods of meditation, they can actually feel their blood pressure rising and can calm themselves down in ways that can positively impact their health. This negative feeling of strength can be associated with hypertension and adrenal irregularities that can wear the body out. Taoist meditation can help smooth out these energies and create a sustainable feeling of vitality. 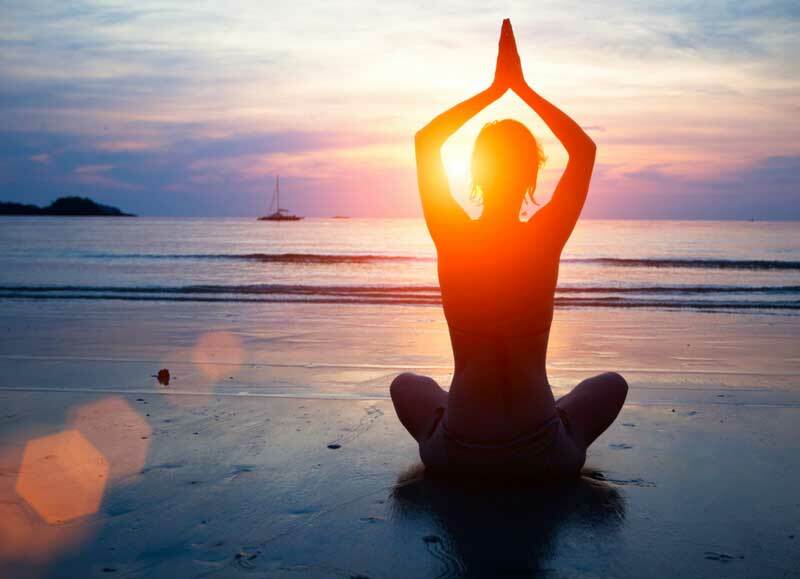 Meditation has been found to relieve emotional stress as well as physical tension in the body. Many people turn to Taoist meditation to try to ease chronic pain as an alternative to medication that can be addictive and carry side effects. Chronic pain can develop from a consistent excess of tension in the body that results from anger or fear. People have demanding workloads with tight deadlines often experience tension which can result in pain and a host of health problems. Tension is the result of muscles being pulled in various directions and meditation can help ease this tension the body. 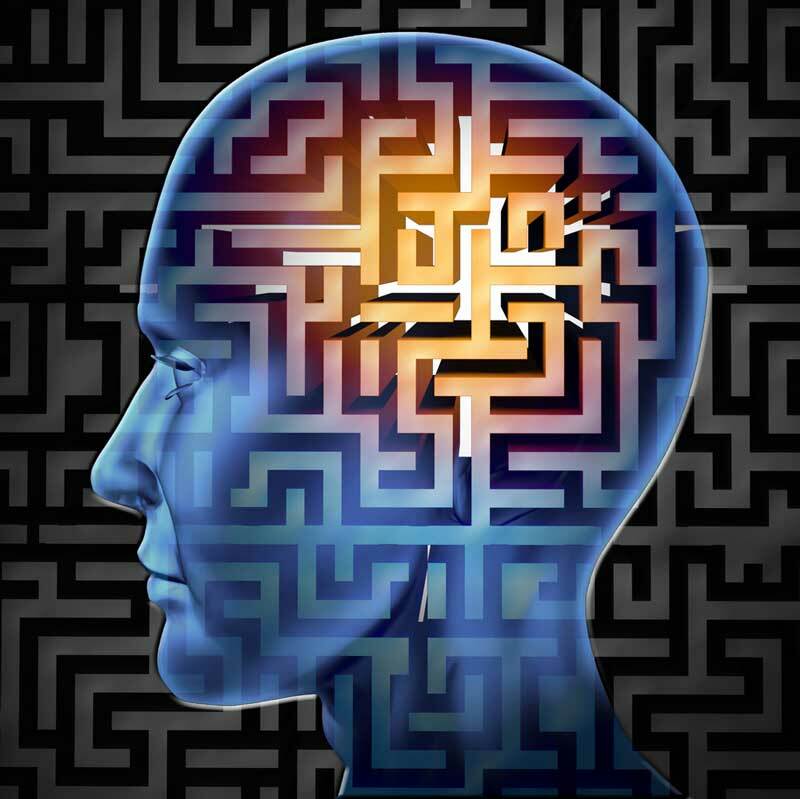 The feeling that something is not quite right in the body and the mind can be the result of unresolved feelings or issues about which we are not entirely conscious. According to Taoist philosophy, we are spiritually affected by what happened to our mothers when we were in the womb. These incidents have an effect on our development and our feelings as adults, but we are not quite sure about what is wrong. When you are scanning your body and mind to make note of blockages, you may feel that something is wrong should be observed. Without pushing it one way or the other, simply observe where the feeling is going. Is it getting stronger? Is it remaining consistent? Is it fading away? Another state that indicates an energy blockage is contraction. This is a way of shutting down in response to stress or a kind of threat. Contraction can have a negative effect on our health because it can narrow blood vessels and interfere with fluidity. Contraction has been called the “Hallmark of Death” by Taoists because it is the beginning of malfunction. When an organ shuts down and contracts, it is no longer receiving the right kind of energy flow. When you do the full scan of your body and mind, look for signs of contraction and ensure that all areas your body are open to the flow of energy. To perform this meditation scan of the body, you must be fully relaxed and focused on the present moment. The scan can be done once when one has mastered the principles of basic Taoist meditation which involves focusing on the breath, eliminating extraneous thoughts and being fully in the present. 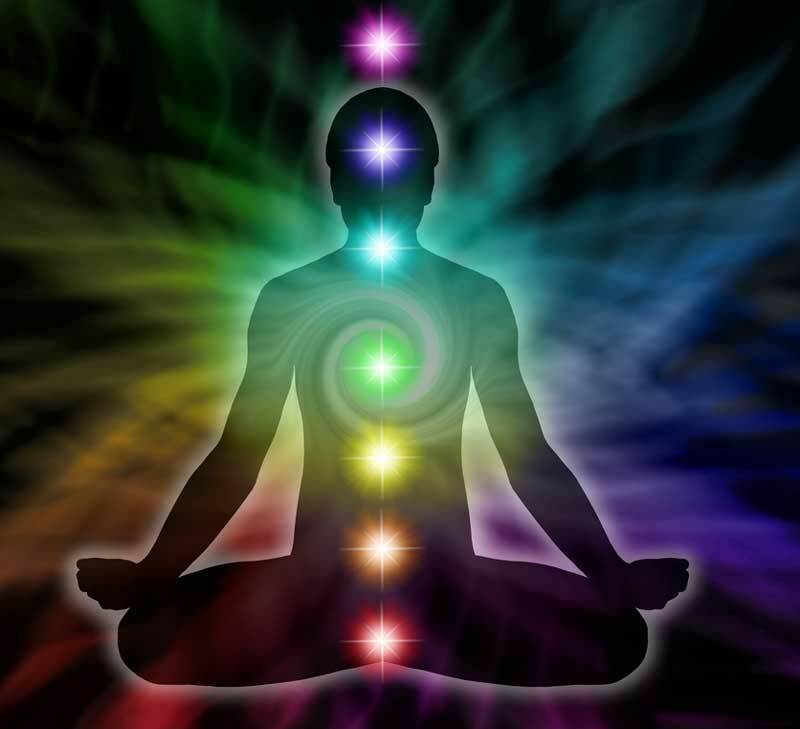 This creates an awareness of energy and the meditator can observe and direct energy flows and do a scan to detect blockages in the body. The feeling of balance created by being fully in the present moment results in a sense of freedom. When you live in the present, you are liberated from the past and its influence as well as dread and fear of the future. When you reach this point, you have stopped living automatically and have embraced mindfulness and can feel free to make constructive changes in your life. The expression “letting go” can sound bittersweet. We may think of letting go of a relationship that was once passionate but is no longer feasible. We may tell ourselves to let go when confronted with parenting challenges and dealing with rebellious teens. Letting go is not easy, but in Taoist meditation, the process of letting go begins with the self. During meditation, we train ourselves to dismiss the dictates of the ego and extraneous thoughts and to focus on our breath and the balance of energy. 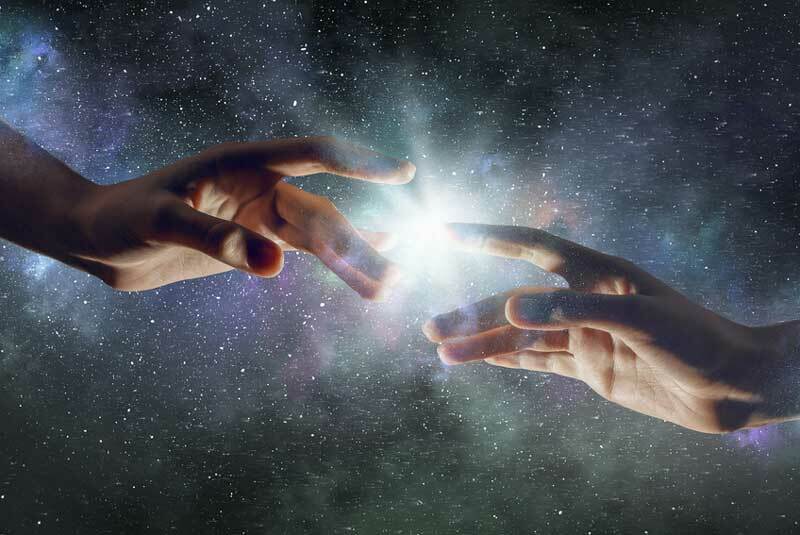 This begins with a feeling of oneness, but with practice and meditation, it expands into the concept of dissolving which involves of obscuring the barriers between the self and the universe. Dissolving is a way to relieve blockages by clearing the system. The dissolving process works with the physical body and energy. Many people who teach Taoist meditation recommend starting with outer dissolving and then moving on to the inward. Outer dissolving is referred to as “ice to water, water to gas.” Ice is compared to the blockages within the body. Water is the relaxation that eases the blockage and removes the tension. 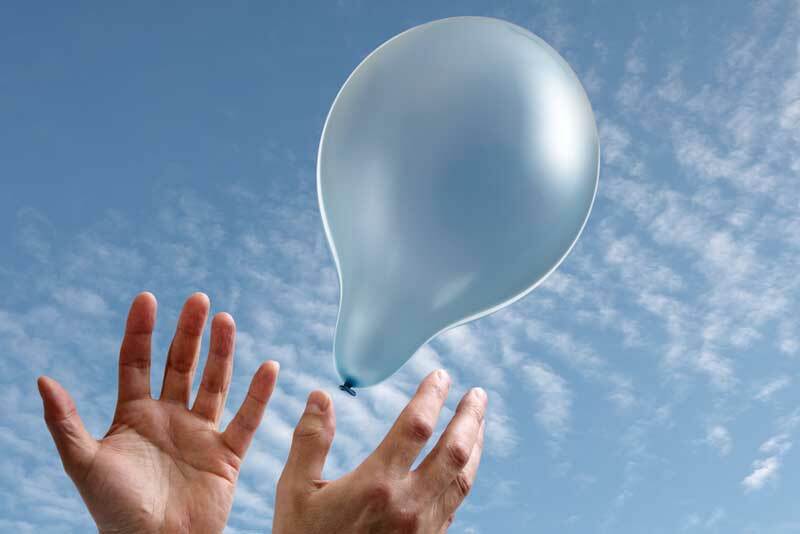 Gas represents the phase of completely letting go of what once formed the blockage and letting it flow into space. The space could consist of the space within your body that connects to infinite space and the universe. There are some forms of active meditation that are related to Taoist meditation and focus on the flow of energy throughout the body. 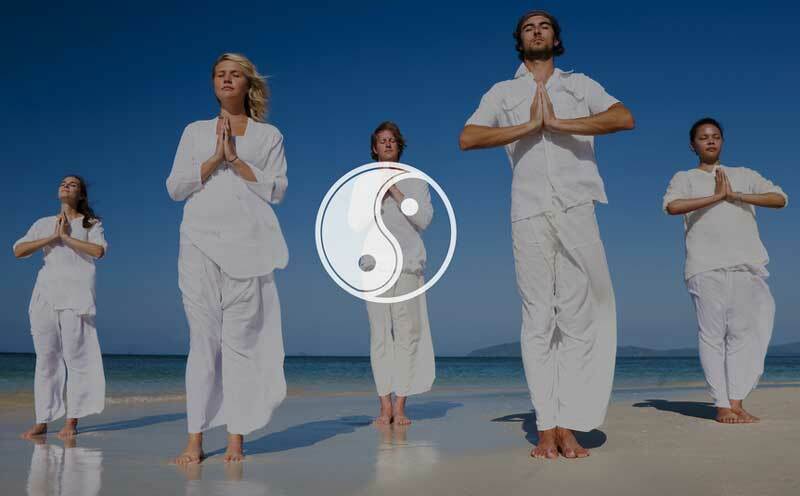 Qigong is a way to achieve mind-body balance and improved health. Qigong also includes principles of martial arts. You may have noticed people doing Qigong in the park and observed flowing movements and guided breathing. This discipline was taught as part of the Taoist and Confucian traditions. Taoist methods may incorporate elements of Qigong, but it is considered to be a separate discipline. The practice involves thousands of exercises and 80 varieties of breathing. There are different purposes to the practice of Qigong, including spiritual enrichment, martial arts training or treatment of certain conditions. Qigong is often used with movement but it can also be done sitting still. The emphasis of Qigong is on circulating energy throughout your body and by using this energy to improve your health and achieve a feeling of serenity. Taoist meditation focuses on oneness, stillness, and peace. It can improve your health and help you lie a more tranquil life. 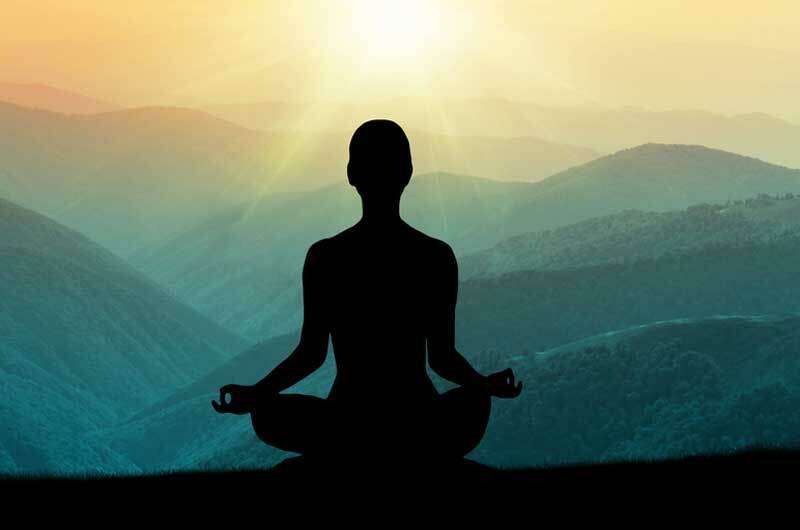 Taoist meditation like any other pursuit requires discipline and focus, but it can contribute a great deal to you feeling of serenity and the ability to cope with life’s challenges. Hello, I have a 42yr old son with brain cancer, he has not meditated but I have with benefit. Is it possible to help him? I believe it may be helpful if he is willing to try. I am hoping he will read this above article and seek help in meditation. Being his mother I dearly hope he would be willing to try with me. Maybe a suggestion from you with help in this matter? I would appreciate any input from you.